Obscured by the success of soul music emanating from Stax, Hi and American, the 1970s Memphis rock scene was as potent as it was little heard. 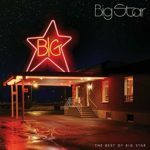 Decades after their commercial failure, Big Star actually became big stars, and others Memphians making pop and rock music at the time – Icewater, Rock City, the Hot Dogs, Cargoe, Zuider Zee – eventually caught varying amounts of reflected spotlight. 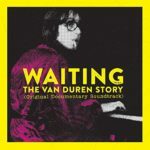 But even among all the retrospective appreciation, singer, guitarist and songwriter (and Memphis native) Van Duren remained obscure; his 1977 debut Are You Serious? was reissued in limited quantities by the Airmail and Water labels, his 1979 follow-up Idiot Optimism got stuck in the vault for twenty years, and his later albums went undiscovered by many of those who would appreciate them. That lack of renown is now set to be corrected by this soundtrack and a like-named documentary. Pulling together material from his two late-70s studio albums, a 1978 live show, previously unreleased sessions at Ardent, and the 1986 album Thin Disguise, the collection easily makes the case for Duren having been the artistic peer of his better-known Memphis colleagues. Duren’s public renaissance was stirred by two Australian fans, Wade Jackson and Greg Carey, whose latter-day discovery of Are You Serious? turned into a two-year documentary project that sought to understand why the albums didn’t hit, and why Duren didn’t achieve the fame that his music deserved. No one is guaranteed fame, not even the talented, and as noted, Memphis wasn’t exactly a springboard for rock band success, yet Duren’s connections with Ardent, Chris Bell, Jody Stephens, Andrew Loog Oldham and Jon Tiven might have tilted the odds in his favor. From his debut, recorded with Tiven on electric guitar and Hilly Michaels on drums, the set’s opening “Grow Yourself Up” has the chugging beat of Badfinger and a vocal melody that favorably suggests the early-70s work of Todd Rundgren. “Chemical Fire” offers a touch of southern funk in its bassline, and the ballad “Waiting” is filled with the yearning its title implies. A pair of live-on-the-radio tracks show how well Duren’s material translated to performance, and how easily he could summon the same level of vocal emotion on stage as in the studio. Music impresario Kim Fowley’s outsize personality and professional longevity both exaggerated and overshadowed the commercial and artistic success of his artists. As half of the fictional Hollywood Argyles he topped the charts with “Alley Oop,” had his hand in a string of 1960s novelties that included the instrumental “Nut Rocker,” the doo-wop “Papa Oom Mow Mow” and the treacly “Popsicles and Icicles,” threaded his way into the British rock scene, and became an icon on the Sunset Strip. The mid-70s were a particularly fertile period for Fowley on the L.A. pop-rock-glam scene as he produced three albums for the Runaways, and releases for Venus and the Razorblades, Dyan Diamond, and The Quick. 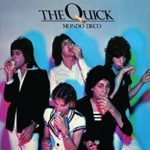 The Quick formed, played their first gig, were discovered by Fowley, signed to Mercury (the home of Fowley’s other proteges, the Runaways), and recorded and released this debut album all within 1976. Though the Ramones released their debut the same year, and the band played on bills with many of Los Angeles’ punk rock luminaries, the Quick’s early influences leaned heavily to glam, glitter and the lyrically cutting works of the British Invasion. As engineer and co-producer, Sparks founding guitarist Earl Mankey brought a generous helping of quirky pop sound to the table, and the high, sweet voice of Danny Wilde (made even higher by a change in tape speed) added a campy, devilish edge. Guitarist Steven Hufsteter was a prolific writer whose songs overflowed this debut into demos, fan club singles and covers by Los Angeles notables such as the Dickies. Hufsteter’s songs were literate and cynical in the manner of Ray Davies, with scathing Elvis Costello-like sarcasm effectively delivered with a smile instead of a sneer. 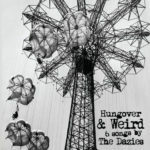 The album’s sugary melodies and power chords undersell the sardonic humor in songs of feral teenagers, dominatrixes, and the brilliantly essayed San Fernando Valley malaise of “My Purgatory Years.” The band showed off their instrumental sophistication with the ringing drums and hard guitars of “Anybody,” and drew the Beatles and Four Seasons into their musical orbit with covers of “It Won’t Be Long” and “Rag Doll.” All of the group members went on to other glories (Wilde with the Rembrandts, Hufsteter with the Cruzados, Danny Benair with the Three O’Clock, bassist Ian Ainsworth with Great Building, and keyboardist Billy Bizeau as a songwriter for the Runaways), but never again realized a sound this unique. There’s an element of triumph in the unjustly-ignored-in-their-time Big Star being celebrated in retrospect. At the same time, the books [1 2 3 4], documentary, reissues [1 2 3], box sets [1 2] archival artifacts [1 2 3 4 5 6], resurrections and reunions [1 2 3 4], tributary performances (and resulting concert film) and best-ofs [1 2], threaten to overwhelm the rare brilliance of their slim, original catalog. 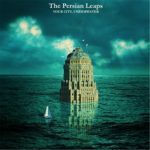 For the uninitiated, the two-fer of the band’s first two albums provides the original testaments, and the challenging third album the capstone. But if three albums is too much to absorb up front, this collection provides a a Cliff’s Notes to a musical novella whose briefness belies its importance and nuance. Bassist Derrick Anderson may not be a household name, but those he’s played with – Dave Davies and the Bangles, among others – certainly are. His eponymous L.A.band featured power pop luminary Robbie Rist, and released a pair of albums to considerable fan enthusiasm. The band’s conceit – that the three core members were half-brothers by a shared father – put Anderson’s name on the cover, but shared musical credit. 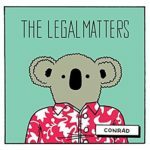 On this solo debut he’s backed by a who’s who of famous fans, including the Smithereens, Bangles, Cowsills, Andersons!, Matthew Sweet, Kim Shattuck, Tommy Keene and Steve Barton. Anderson plays bass with a McCartney-like buoyancy and sings in a voice that remains, as it did with the Andersons!, decades younger than his chronological age. Interestingly, the essential questions of youth still resound in his songs, but with the adolescent angst of typical power-pop replaced by midlife perspective. 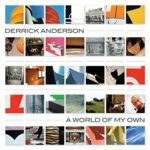 Anderson’s empathy and solace are more superego than id, his quests more philosophy than impulse, and the life in “my whole life” is richer in his fifties than it could have ever been in his twenties. It’s an interesting twist on classic themes, one that others have explored as they aged, but few realized on their first solo outing. 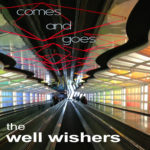 The Well Wishers recent album Comes and Goes is only the latest in Jeff Shelton’s catalog of superb power pop. Check out this one from 2012’s Dreaming of the West Coast. 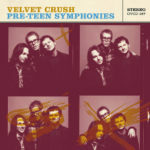 Although Paul Chastain and drummer Ric Menck recorded a number of singles as Choo Choo Train, Bag-O-Shells and The Springfields, they first came to wider notice as Velvet Crush with 1991’s In the Presence of Greatness. Critics and fans latched on, but it wasn’t until they released 1994’s Teenage Symphonies to God, with U.S. distribution by Sony, that they made their biggest splash. Three years and a change of producers (Mitch Easter replacing Matthew Sweet) between the two albums left a gap bridged by a few singles and an EP. The post-album afterward yawned even wider as the band mostly parked themselves, recording with Stephen Duffy, and didn’t re-emerge as Velvet Crush until the release of 1998’s Heavy Changes. Omnivore’s sixteen-track collection helps fill the gaps, offering up Teenage-era demos and live performances. The first eight tracks cherry-pick demos previously released on the out-of-print Melody Freaks. Included are early versions of six album tracks, plus the otherwise lost “Not Standing Down,” and a cover of Three Hour Tour’s “Turn Down.” For listeners whose neurons have been organized by repeated spins of Teenage Symphonies to God, the demos provide an opportunity for renewal. You know these songs, but then again, you don’t. The pieces are there – lyrics, melodies and guitars – but not the final polish; but what the demos give up in nuanced construction they redeem in initial discovery. It’s the difference between a candid snapshot and a posed portrait – they each say something about the subject, but they also say something about each other.